I grew up in Colorado, just north of Denver. Since my earliest recollections, I can remember knowing that there must be a God somewhere, but He seemed so far away. Our family attended a Catholic church occasionally when I was young. Because an infant and a couple of toddlers were part of our family, we generally sat in the "cry room" which was a separated from the main sanctuary by several large panes of glass. In those days, that was my view of God: separate, distant and unapproachable. It was not until my freshman year of high school that I was introduced to God as a caring, close and approachable being through His Son, Jesus Christ. The path God has taken me down since that time has been filled with many different experiences. I attend Colorado University in Boulder, Colo., for a short time. I then spent a few months working as a youth pastor on a military base in Germany. Once I returned to the United States, I attended Moody Bible Institute in Chicago to gain the basic classes I would need to earn a degree in Mission Aviation Technology. After two years on the Chicago campus, I traveled to East Tennessee to Moody's aviation school. While at Moody Aviation, I obtained my FAA Airframe and Powerplant certificate and focused on studying aircraft avionics systems. It was during this time that God brought my wife and I together. Immediately following my graduation from Moody Bible Institute, I obtained my FAA private pilot certificate. 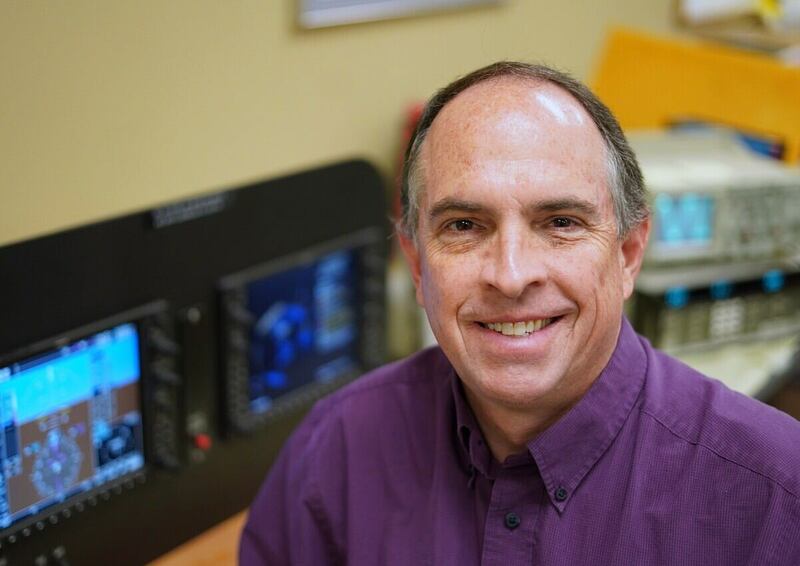 I then spent a year in the electronics industry, and a year working with a missions affiliated avionics shop before God opened the doors for me to come and join the faculty at LeTourneau University. Federal Aviation Administration Private Pilot Certificate, 1991. Federal Communications Commission General Radiotelephone, 1990 - no expiration. Federal Aviation Administration Certified Mechanic, Airframe & Powerplant Rating, 1989 - no expiration. The use of technology in a technical education. Introduction to Electronics Technology Curriculum, School of Graduate and Professional Studies, LeTourneau University, 1999. Avionics Class and Lab Curriculum, Department of Aircraft Systems, LeTourneau University. Aircraft Electronics Association , member. Aviation Technician Education Counsel , member. University Aviation Association Conference 2006. Mission Aviation Training Summit 2006. Garmin 1000 Line Maintenance Seminar 2006. Aviation Technical Educator's Council conferences 1999-2005, 2007-2008.
International Association of Missionary Aviation conference 2001, 2011. School of Aeronautical Science Advisory Committee, Aircraft Systems Science Department Liaison, 2002-Present. Chair, Aircraft Systems Science Department 1999-Present. Federal Aviation Administration Test Center Supervisor 1999-Present. Aviation Technical Educator's Council conferences 2003-2005, 2007-2008. FAA's Air Traffic Control Initiative conference, 2007-2010. University Aviation Association conference, 2006, 2008-2010. Aviation Electronics Association Seminar 2005. Garmin G1000 line maintenance seminar, 2006. National Instruments, Fundamentals of Lab View, 2003. Fellowship Bible Church in Longview, member and deacon. Manage the Fellowship Bible Church Library with my wife. I am intrigued with the world God has placed around us, and the laws that He has put into motion that dictate its innermost workings. God has given us the ability to understand and use these laws to do amazing things, from the simplest glider to ultra-high efficiency turbine engines to the GPS navigation system. These all show man's seeking to understand and work with the world that God has given him. It thrills me to be able to participate with students as they strive to understand and use the laws God has put into place. That is why I teach at LeTourneau University.